Maybe you saw it on your Twitter feed. Maybe friends shared it on Facebook. And maybe you'd never even heard of Vice News Tonight (7:30 p.m. weekdays, HBO) before this week, when its 22-minute segment, "Charlottesville: Race and Terror," went viral. 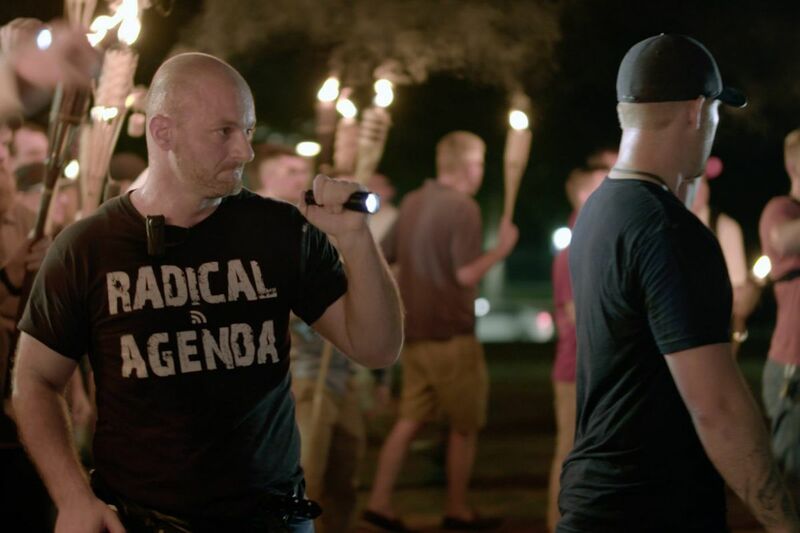 A report by Vice correspondent Elle Reeve, who spent considerable time with leaders of the white supremacist movement, including a particularly glib one named Christopher Cantwell, it's riveting, and sometimes, repulsive. And that's even before we get to the video of the car that killed 32-year-old Heather Heyer on Saturday as an Ohio man drove it into a crowd of counterprotesters. Or to Cantwell's complaint that because the victims, whom he described as "stupid animals," "couldn't just get out of the way of the car … some people got hurt." HBO's decision to put the entire report online immediately after Monday's show, outside the usual paywall, helped drive 27 million viewers to "Charlottesville: Race and Terror" by 3:30 p.m.Wednesday, according to an HBO spokesman, who said the number was still climbing. More than 24 million of those views had come through Facebook and more than 2.4 million through YouTube. Monday's was also the second-most-watched episode for Vice News Tonight in that 7:30 p.m. time slot, with 488,000 viewers, a number pushed higher that same night — to a total of 540,000 — by those watching on mobile platforms HBO Go and HBO Now, the spokesman said. In addition, Vice News' website has recorded 170,000 video views and 1.2 million page views for the story. About now, NBC News' Megyn Kelly may be wondering why she took such heat for giving Sandy Hook denier Alex Jones a platform on her Sunday night magazine show, especially as she'd pushed back harder against Jones than Vice's Reeve may appear at first to be doing against Cantwell. We see Reeve listen impassively to people like neo-Nazi Robert "Azzmador" Ray, a writer for the Daily Stormer website, as he talks about taking the movement from internet memes to the streets. She maintains a tone more conversational than confrontational as Cantwell explains that he's waiting for a leader, "someone like Donald Trump [but] who does not give his daughter to a Jew." "So Donald Trump, but, like, more racist," Reeve replies, just a tad sardonically. Vice News' style is very much at work here — it targets millennials and aims to reach them where they are, which often isn't in front of a TV set. "Anchor-free, the show will abandon a set formula," read the statement when the HBO nightly show was announced last fall. Context is everything in a piece like this, and so is length. If you were to break the report into easily digestible soundbites — assuming any of this can be digested, easily or otherwise — Vice News Tonight might look as though it's handing a megaphone to people so they can spread their messages of hate further. Watch it all, though, and you will, I hope, stop laughing at, or discounting, the young men with their absurd tiki torches and start recognizing them for the hateful menace they represent.